Counting the raindrops,as they slide down the window glass, I think about a rose-gold city, almost as old as the time. 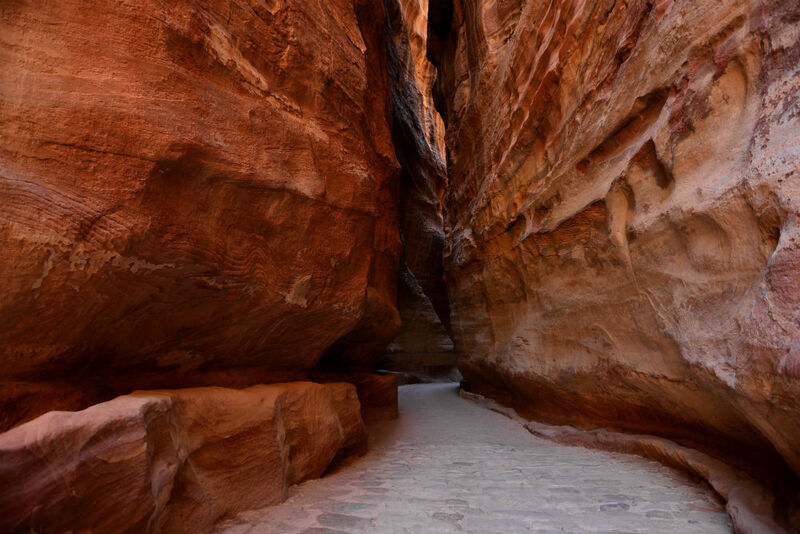 It has been some time since my visit to the ancient city of Petra, but it still feels as if it was yesterday, when I wandered around the sandstone streets drenched in an array of orange hues. Having started my journey about 20 hours earlier I had touched down in Jordan earlier that day. 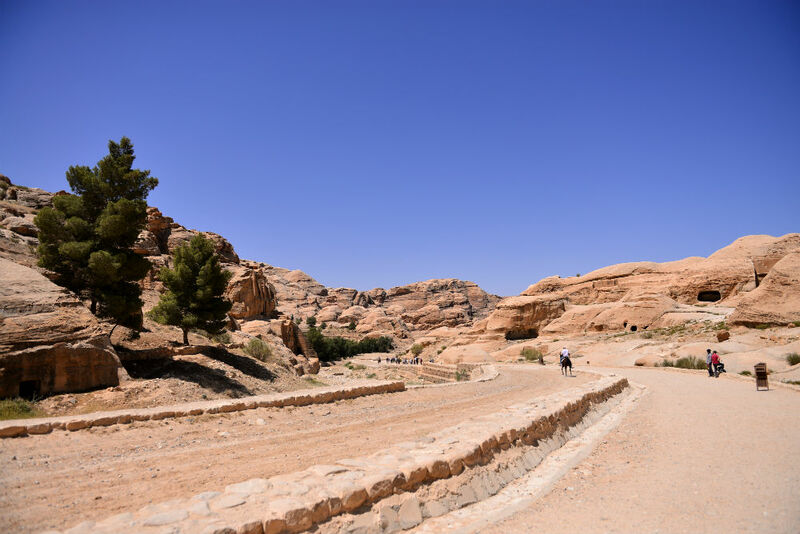 My arrival was followed by a two hours road trip from Amman. 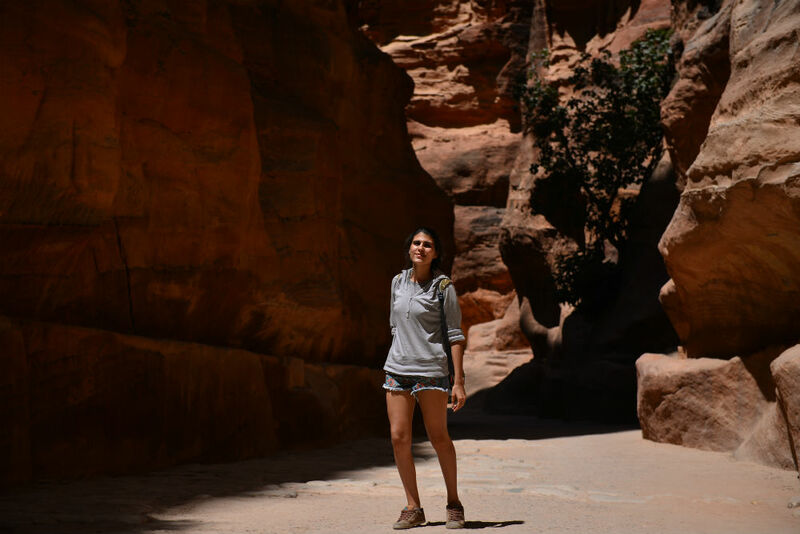 Choosing to rent a car and self-drive around the country was a big advantage in letting me experience the authenticity of the place, away from the tour groups and the scheduled days, planned to the very last minute. To be honest I was skeptical at the beginning. 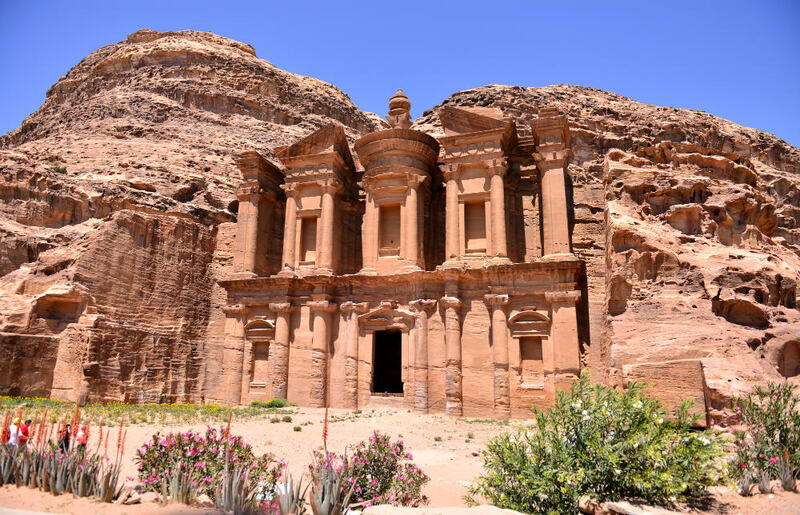 After all my arrival at Petra was close to the most convenient hour – about 10am – not too early, but also not too late for all the tourist to flock to the stone gates of the city. For my surprise, the place wasn’t that busy and I was soon to find out why. One of the few things that surprised me is that the place was so much bigger than imagined and beauty was lurking from each corner. 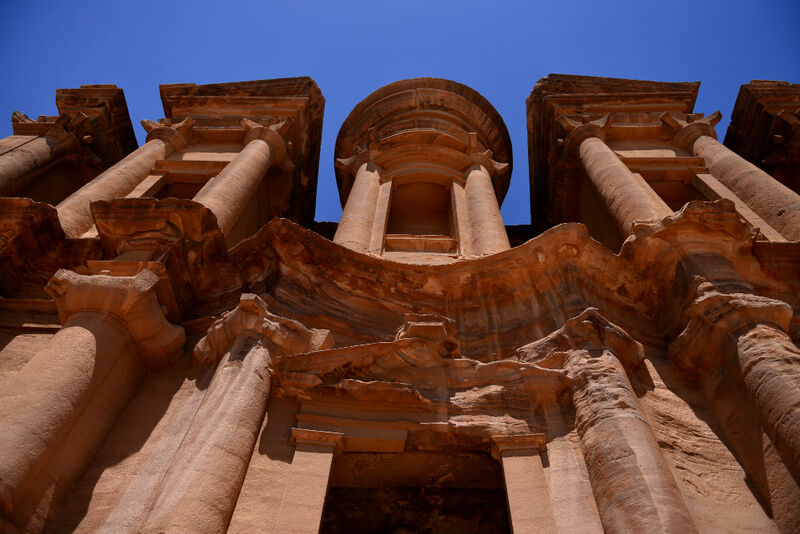 Despite being one of the most fascinating places, Petra is not one for the weak. 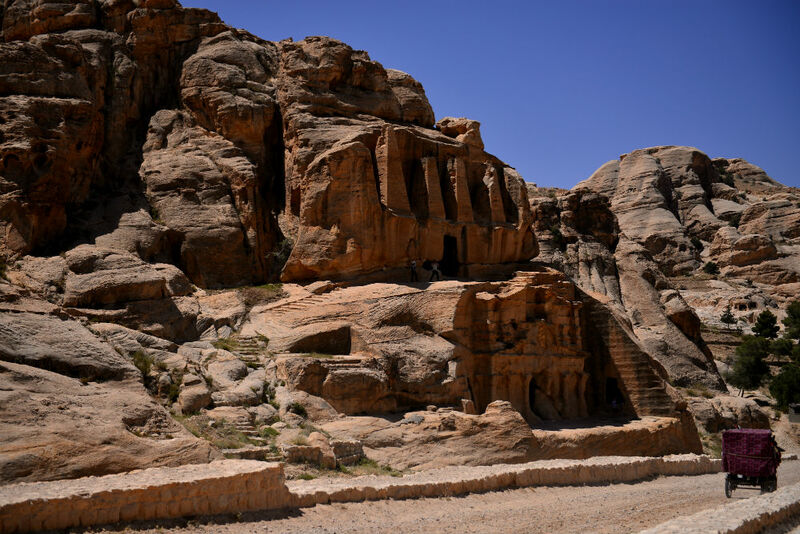 The first clue about that must be the 2 kilometres you have to walk just to reach the main gates of the ancient Nabatean city. 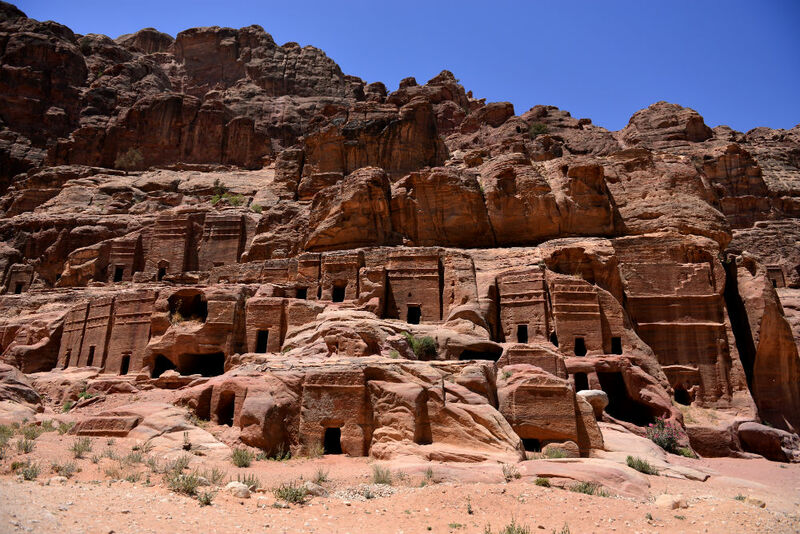 I have to agree that you don’t really feel the distance, as your eyes are drawn to the carved caves scattered around the cliffs that surrounds you, the cobbled streets and the impressive canyon that leads to the famous Treasury. 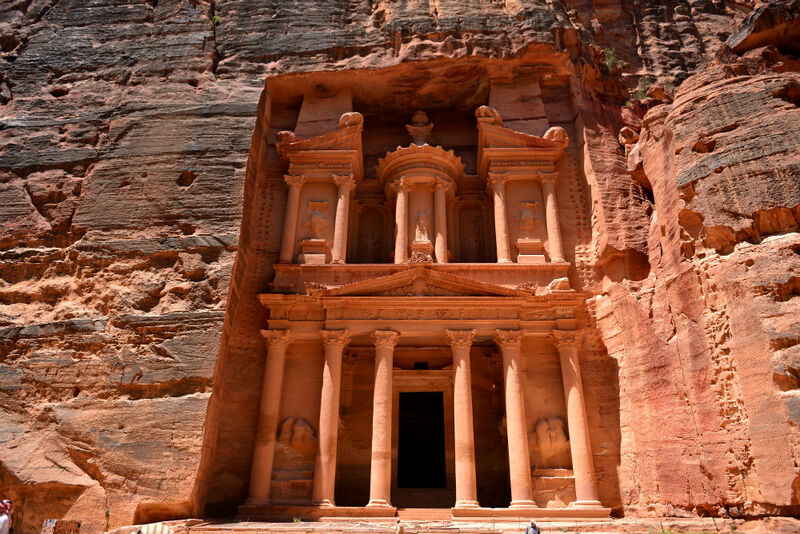 The Treasury, made famous after its appearance in “Indiana Jones and the Last Crusade”, measures the impressive 39 meters in height. People can’t go inside, but still can get a glimpse of the simple yet intriguing interior, that inspired many movie productions and adventure books. Standing in front the tall facade I try to immerse in the surroundings. 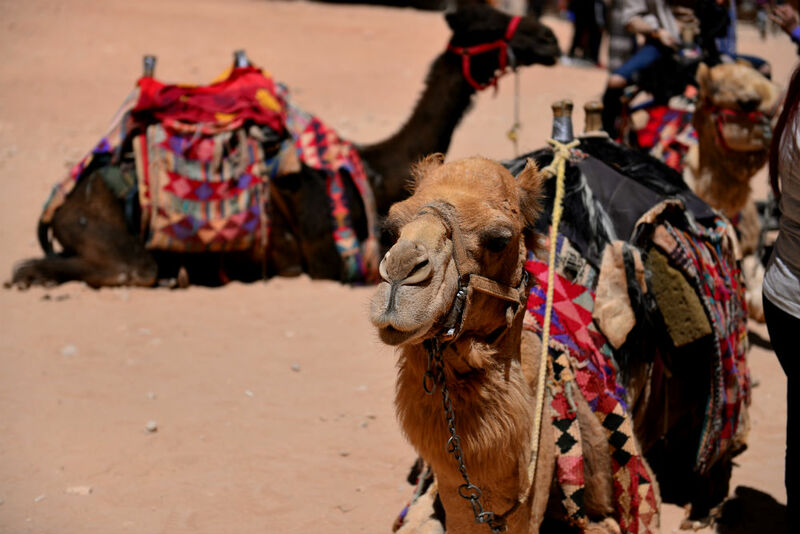 The heat from the burning sun, the sand dust in the air that also covers my shoes, the sweat rolling down my face and the distinct smell coming from the near by donkeys and camels. All of that with a pinch of children’s laughter, as I get surrounded by dozens of Jordanian children, all trying to sell me a keepsake. 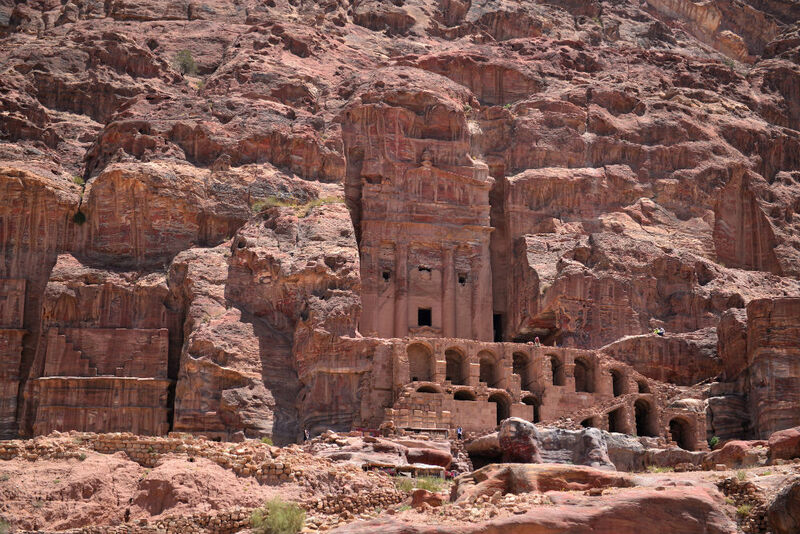 My journey continued towards the less known building of the monastery. 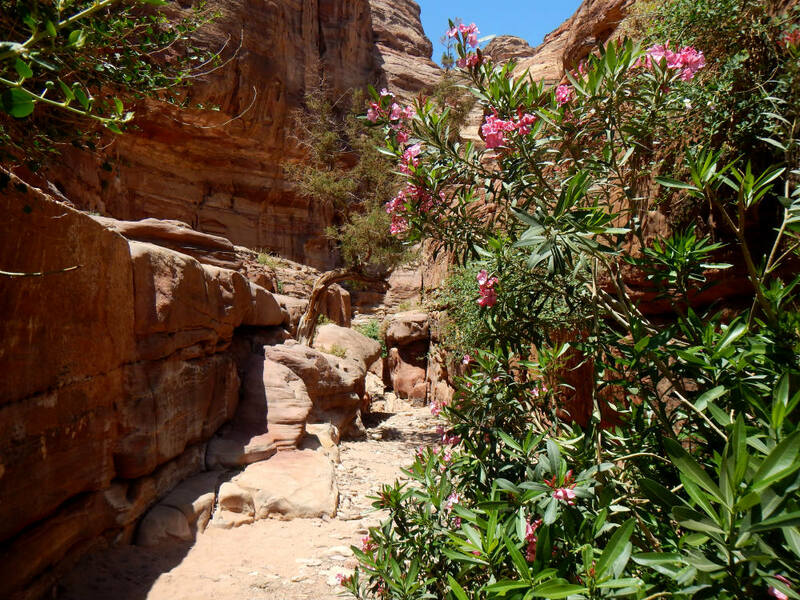 The road was a particularly scenic one, with the numerous buildings carved in the amazing rock formations with rich mineral colours and the wild flowers that surrounded them. 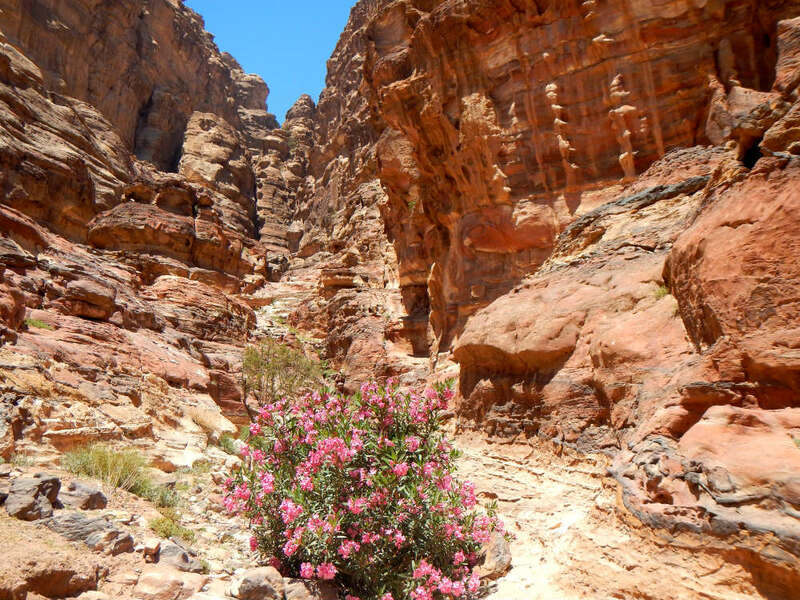 I was now walking forward on the steep path up one of the canyons. And the road was literally breathtaking. I had to stop every couple of steps to be able to catch my breath and drink some warm water, heated by the sun that was now high up in the middle of the sky. 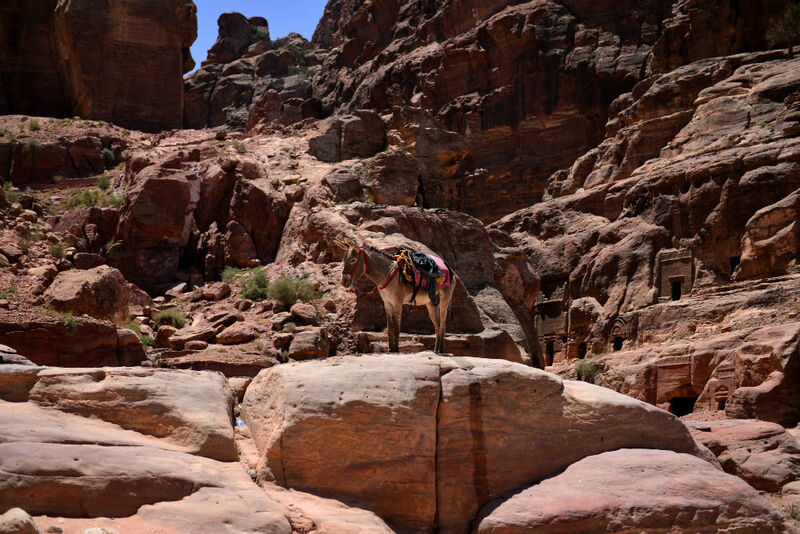 To my surprise and shame, numerous local bedouins kept passing me on my way up. Most of them carrying loads with goods and water for their families. I was greeted by few merchants that had strategically positioned their stalls along the narrow pathway, selling everything from cold drinks to small trinkets and souvenirs. Few turns, a lot of sweat and a couple of soft drinks later I reached the valley. Welcomed by a small coffee stall on the left and the magnificent Monastery on the right, I decided to have a short break and to catch my breath before exploring the facade of the building up-close. There weren’t many people around and the tranquility of the place was captivating. 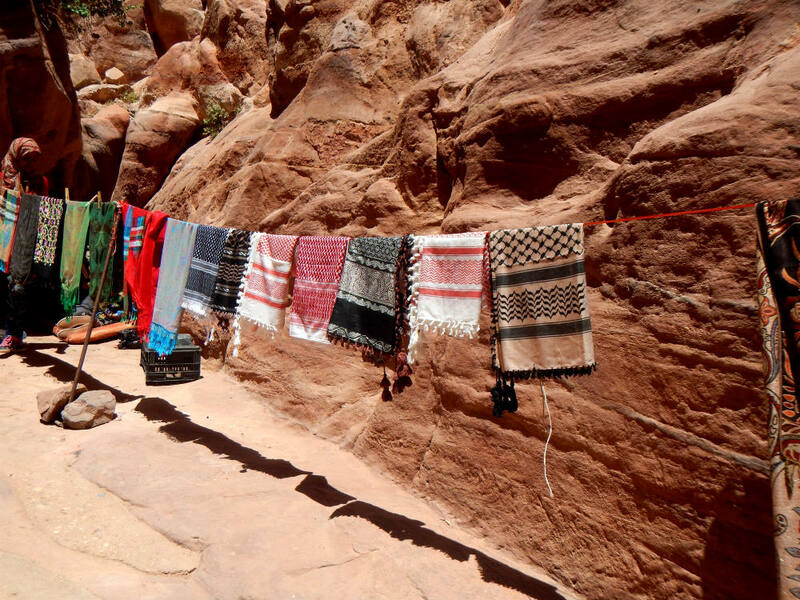 The soft chatter of the other visitors exchanging impressions from their visit to Petra, the sound of the wind, the cooling mint tea and the stone covered in orange coloured hues. 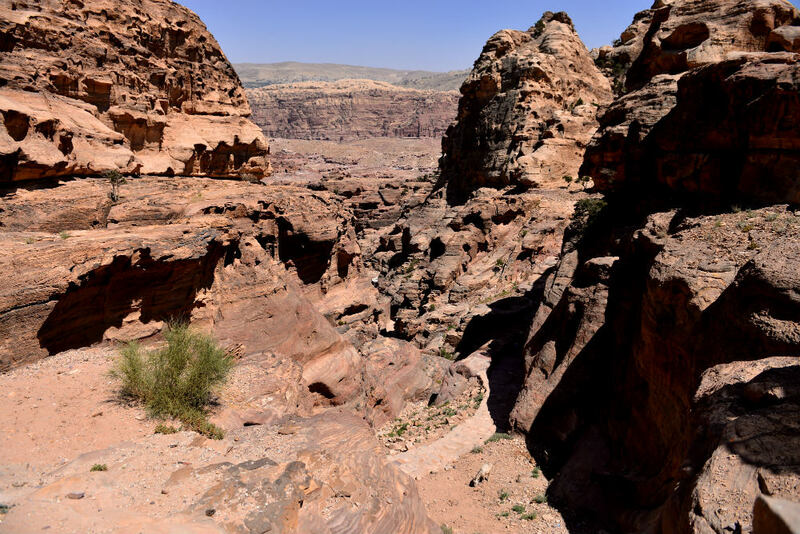 Now I had the whole time in the world to marvel at this world wonder, before I had to embark on my way back through the steep canyon, walking back by the Treasury and to the main gates of Petra. I am interrupted by the tea kettle that insistently reminds me of the cold temperatures outside. The rain still continues to gently slide down the now foggy windows. I love this article. Really you described it very well and love the photos! Thank you Pat! 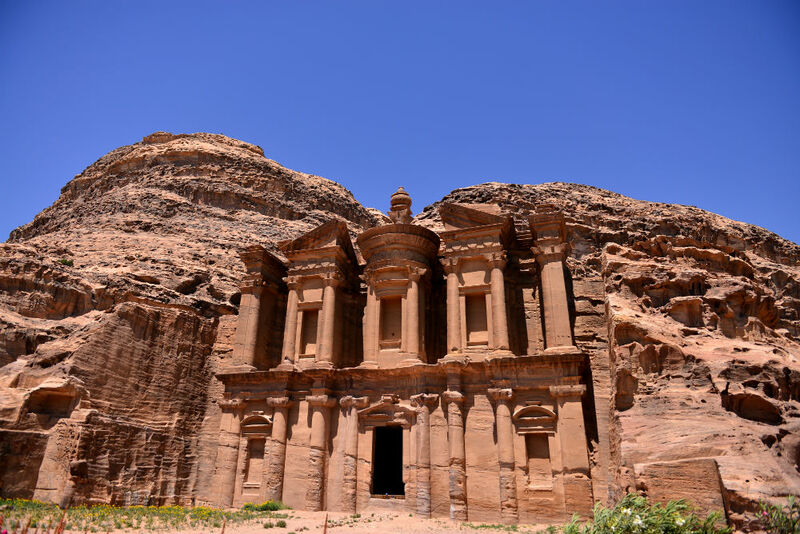 Have you been to Petra yourself?